The spring leek obsession marches on. 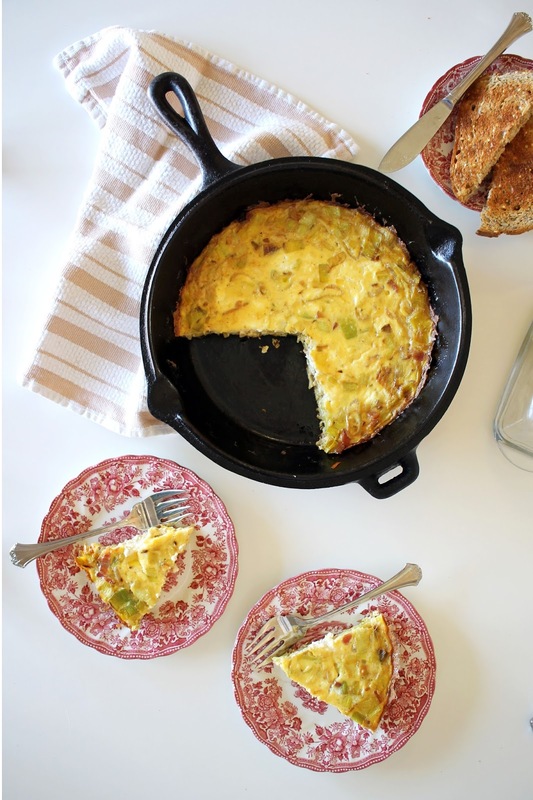 My husband made this frittata a few weeks ago for breakfast, and it was so good I knew I had to recreate it here. 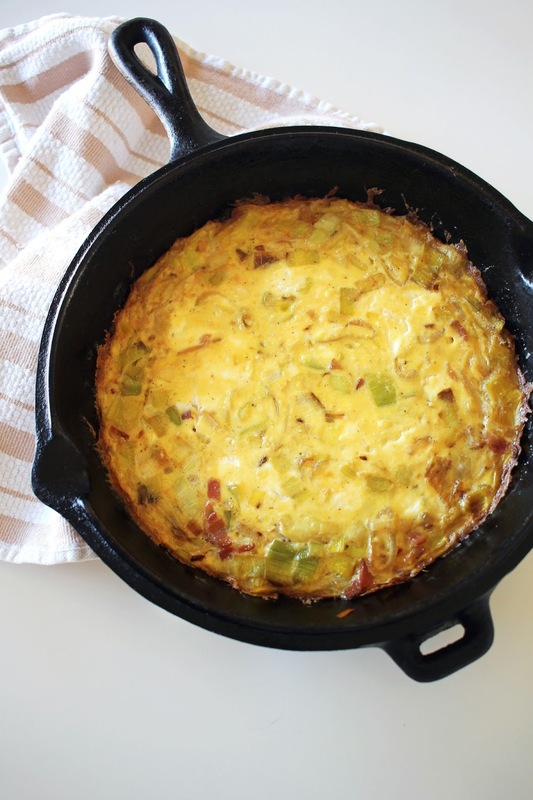 The leeks become soft and almost blend in with the eggs giving it a slight onion flavor without an overwhelming bite. Plus, a little bacon and ricotta can make almost anything taste good. 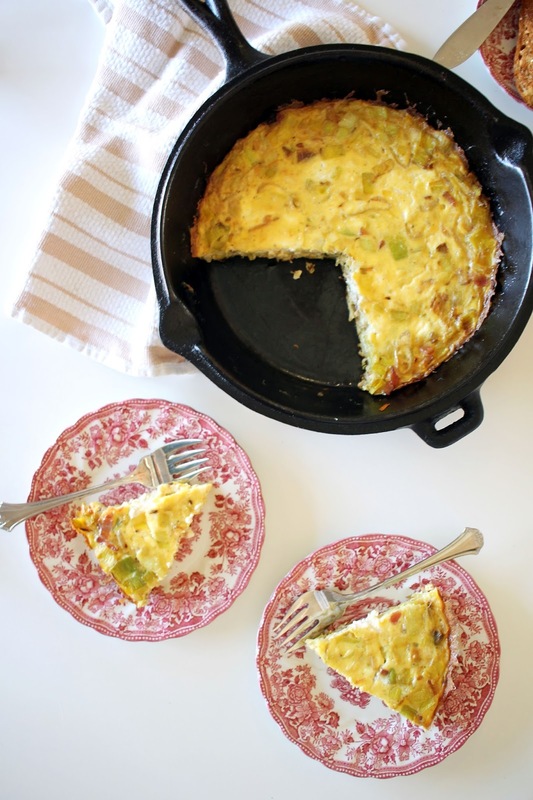 Give this frittata a try this weekend for a lazy Sunday brunch or quick weeknight meal. Preheat oven to 300 degrees. Place bacon in a cast iron skillet over medium heat. Cook bacon until crispy and set aside. Drain off any necessary bacon grease (you want a little in the pan) and add leek and shallot. Cook until slightly brown and tender, then remove from pan. Chop bacon into small pieces and then combine with leek and shallot mixture. Whisk together eggs, sour cream, milk, and salt and pepper. Add butter to pan and stir to coat. Once butter is bubbly add eggs to pan. Then quickly add bacon, leek, and shallot. Lightly whisk until combined and mixture starts to set. Top with dollops of ricotta and stir until combined. Bake for 10-15 minutes until mixture is set. Broil to brown top in necessary.